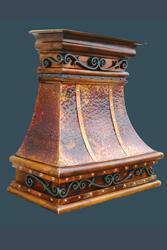 Copper Elegance Inc. is selling the finest copper range hoods/copper vent hood. 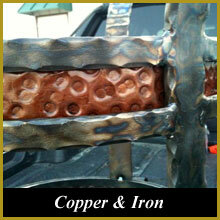 We design and fabricate many custom range hoods in copper. 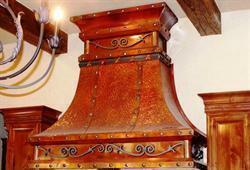 Our copper range hoods feature a distressed finish, decorative riveted seams and straps. 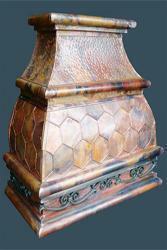 We can also prepare customized well suited copper range hoods & copper vent hoods for you, handcrafted by Master craftsmen in Texas and miled in Mexico to give you perfect copper range hoods. 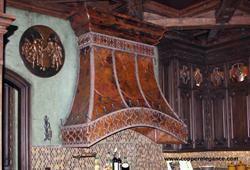 You can provide us with your reference copper range hoods and expect same from us as we are master in customizations of copper range hoods.